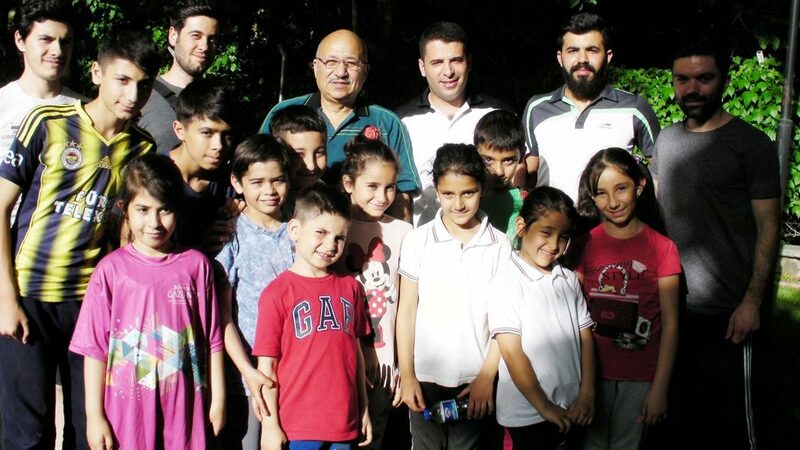 Situated in the south east of Turkey, from Saturday 13th to Friday 19th May, the cities of Gaziantep and Sanliurfa were the focal points for an ITTF Dream Building project to provide coach education for the local communities and the many Syrian refugees now resident in the area who have fled their home country. Both cities are located near the Syrian border. At the helm of proceedings was Egypt’s Ahmed Dawlatly, a person who is no stranger to such situations where sport is the tool for social change. 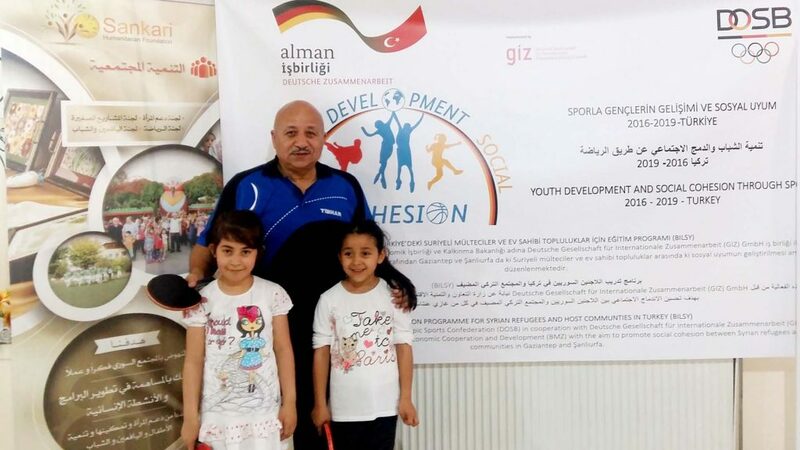 In Turkey, organised under the auspices of the ITTF Development Programme, the initiative was realised thanks to the co-operation of four major organisations: the German Olympic Sports Confederation (DOSB), the “Education Programme for Syrian Refugees and Host Communities” of the Deutsche Gesellschaft für Internationale Zusammenarbeit (GIZ) GmbH, the German Table Tennis Association (DTTB) and the Abdel Kader Alsankary Foundation. Intensive workshops were held from Saturday 13th to Monday 15th May in Gaziantep and from Tuesday 16th to Thursday 18th May in Sanliurfa; matters concluded with a festival on Friday 19th May in Gaziantep. Pertinently the workshop in Gaziantep was supported by the Abdel Kader Alsankary Foundation. An average of 25 students attended each workshop; table tennis the theme, social development, sport education, physical education and skill levels were addressed as well as gender equality, voluntary work, civic duties, project management and fund raising. Notably there was a wide diversity of participants; additional to table tennis players, there were coaches, swimmers, footballers and experts in martial arts players. All added to the occasion to a most congenial atmosphere; one that underlined theme of the venture. A successful endeavour; it was made possible thanks to Sevda Akgün, the DOSB Officer for Sport Development in Turkey who worked in liaison with Jasmin Dirinpur and Ali Almana from GIZ. Also in Gaziantep, thanks are owed to Abdulrahman Alsankari, Manager of Sankari Foundation and in Sanliurfa to Jalal Alali, Head of Sanliurfa Syrian Sport Committee.